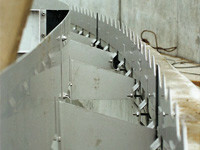 Channels and Weirs - kettenbach-rostfreis Webseite! 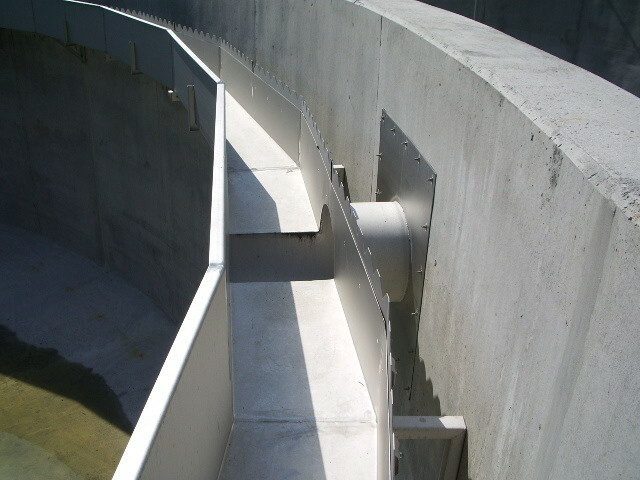 Channels/troughs are either round or polygon-shaped. 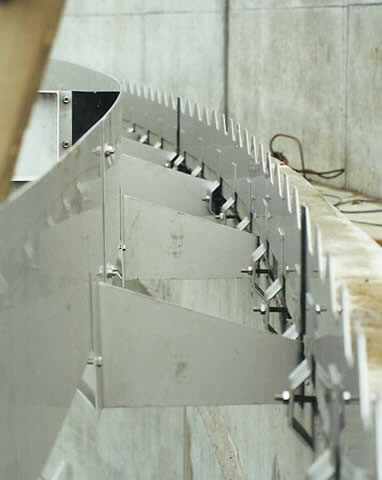 Weirs and flotation baffles are dimensioned according to DIN 19558. 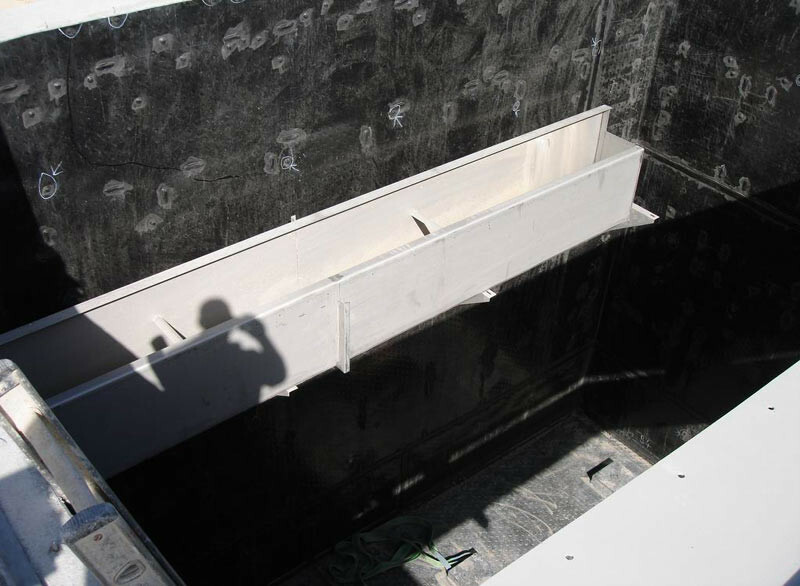 The troughs are dimensioned according to the hydraulic specifications. Especially the buoyancy of submerged troughs is to be considered.